English is an international language. Therefore, it has a very crucial role in the world communication. People tend to use it to communicate to one another when communicating with other nations, such as: when doing transaction (order or request), looking for a job, or going a board. Communication can be divided into two forms, oral and in writing. Oral communication is easier because it rarely uses standard grammar. People can imitate speaking when they get interaction everyday in their life. In relation to the characteristics of spoken language, Derewianka (1990: 29) states that oral language is mostly used in face to face situations. The examples of oral communication can be found when we watch TV, listen to radio or talk to someone. 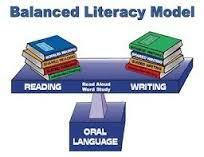 Belum ada tanggapan untuk "THE USE OF LITERACY APPROACH TO TEACH RECOUNT TEXT"